Every time I visit the Brecon Beacons and the Black Mountains I find more scenes to paint. 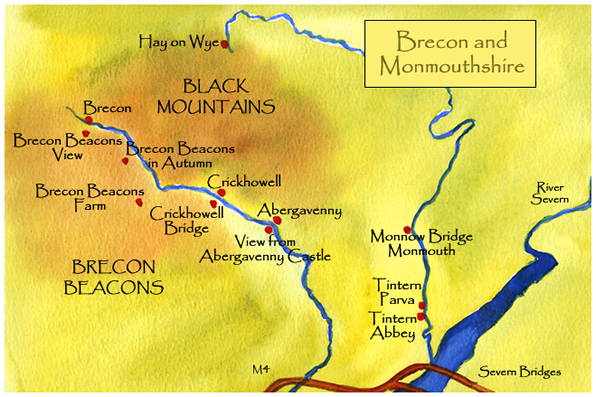 Brecon town is a great base for walking, and the nearby towns on the rivers Usk and Wye are all wonderful to visit. I like to stock up on books in Hay on Wye, and walk on Hay Bluff. The reflections of Tintern Abbey in the River Wye are stunning, as are the views from Abergavenny Castle.